Have you ever tried any of these? would you? I'll let you know how mine go! You too? 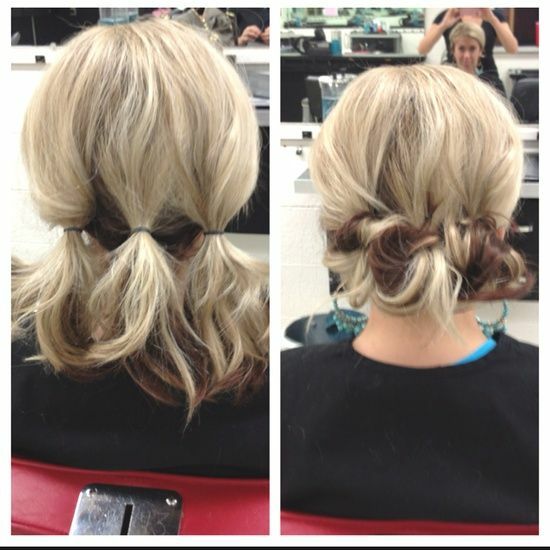 I am obsessed with finding hair tutorials! I will definitely try out the first and second one! Oh but something that bugs me on pinterest sometime sif the directions are not clear, because I am stupid I need a step by step guide that explains it to me like I am 6 years old. Oh yeah, couldn't agree more. There are a couple that I'm like " STEP 5 - what is that? You didn't say you were gona use that and I don't know what it is? where do I get one? WHAT ARE YOU DOING???" and it just goes wrong wrong wrong. But I like to browse and pretend.. and just stick to the simple ones!